Gladbach have been revitalised under head coach Dieter Hecking, since his arrival in December. Languishing in the Bundesliga’s relegation zone, Hecking has overseen a dramatic upturn in form which has seen die Fohlen rise to ninth place, three points behind Eintracht Frankfurt who occupy sixth place, the final Europa League slot the Bundesliga offers. Their revival, however, was halted last weekend as the Foals suffered a shock defeat to Hamburg—beaten 2-1 at the Volksparkstadion. Hecking will look to use this all-important, all German tie, to put Galdbach back on the winning track. Should their domestic charge continue, it would be an extraordinary achievement to secure European football next season through their domestic league placing, and would underline Gladbach’s smart business acumen to replace Andre Schubert at exactly the right time. Schalke, like their opponents Gladbach, have been on their own roller-coaster journey this season domestically. Routed to the table on Matchday 5, Coach Markus Weinzierl has steered Schalke to a more respectable 11th place, two points behind their Europa League Round of 16 rivals. However, they will be disappointed they are not fighting for the Bundlesiga’s Champions League places but given their horrendous injury crisis this season they may be forgiven for a faltered display in the Hinrunde. Die Königsblauen will be buoyed by a 3:0 demolition of Augsburg on Matchday 24, the perfect build up to a potentially breath-taking fixture. 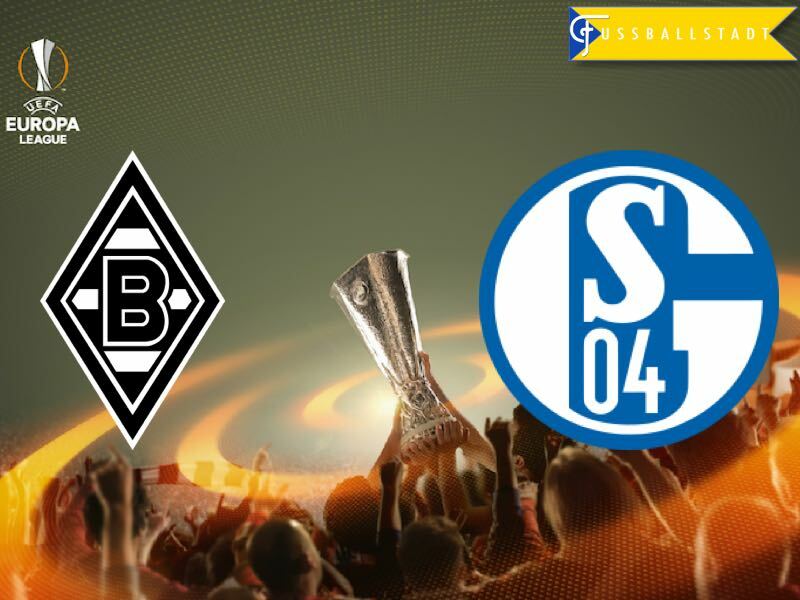 The all German Gladbach vs Schalke, European, Rückspiel should provide a fascinating encounter for a worldwide television audience. With the game tied at 1-1 it will be Gladbach who are the happier of the two sides going into Thursday nights fixture. Their all-important away goal could be a deciding factor—however, Schalke will take heart from an attacking approach displayed in the first leg, by the balance of play the team from Gelsenkirchen should really have an on aggregate superior goal difference. They will require a similar attacking prowess should they have ambitions of progressing to the quarterfinal stage. Gladbach have the greater European experience this year after starting the season in the Champions League qualifiers and progressing to the group stages. Their Europa League Round of 32 display in Florence, which saw them dramatically take apart Fiorentina, is exactly the type of approach needed should they have an eye on Stockholm in May. 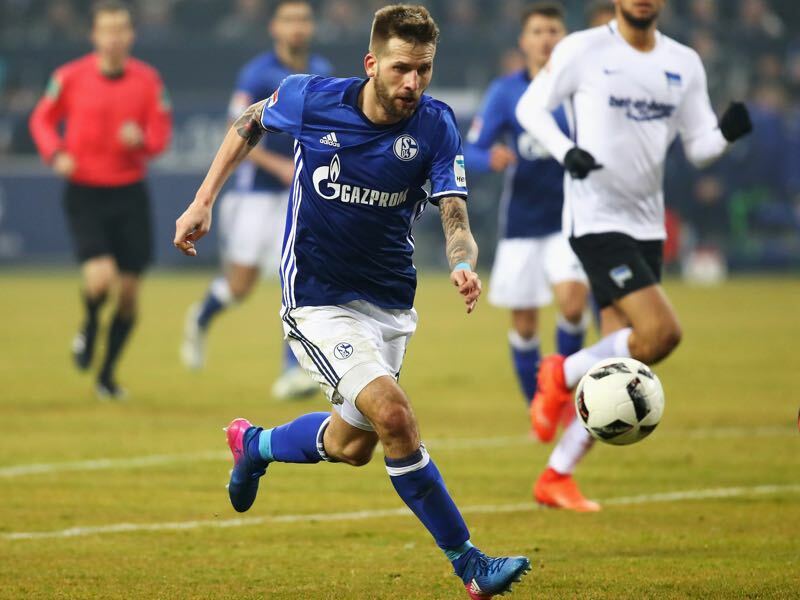 Schalke’s striking revelation Guido Burgstaller is in scintillating form. Since his Winterpause move from Bundesliga 2 side 1.FC Nürnberg, Burgstaller has four goals and one assist in his eight Bundesliga games—but it is his Europa League form which marks him out as a player to watch. With two goals in two games Burgstaller has averaged a Europa League goal every 84 minutes. It was his goal that sets up Schalke with an excellent chance of progressing to the quarter final. Gladbach will be without influential forward, and captain, Lars Stindl. This will undoubtedly be a major loss but shoring up the midfield to stop Schalke’s service of Burgstaller will be an important aspect in this rückspiel. Step forward Christoph Kramer. With European experience in both the Champions League and Europa League this season, Kramer is not just an option at defensive midfield for Gladbach he is a necessity. Plugging the gap between transitions of play his main strengths are his short passing range and his ability to tackle – two essentials for any quality defensive central midfielder. 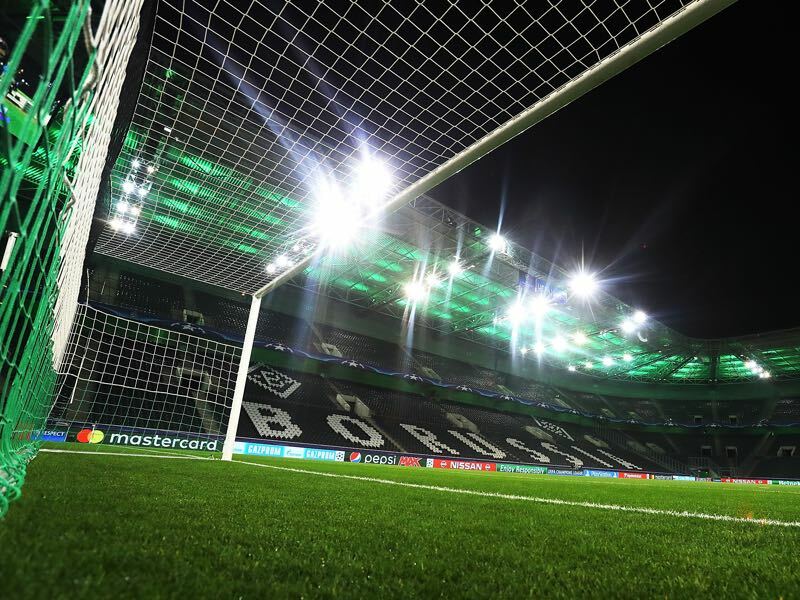 The clubs met for the first time in UEFA competition last week, five days after their 100th domestic encounter; Gladbach have had the better of those fixtures: W40 D28 L32. Schalke lost their only all-German UEFA tie to Magdeburg (then representing East Germany) in the second round of the 1977/78 UEFA Cup, going down 4-2 away and 3-1 at home. This will be the 50th game between two German teams in UEFA club competition. Gladbach are without a win in their last four European home matches (D2 L2), scoring three goals during that run. Schalke have lost only one of their last ten European away games (W7 D2 L1). Mönchengladbach is around 60km from Gelsenkirchen. This is Gladbach’s 100th UEFA Cup / UEFA Europa League game.